Wouldn’t you love to enjoy your north Georgia home, cabin porch or patio most of the year, without having to cover furniture during storms, without fighting insects, and without cleaning spring pollen? With Eze-Breeze porch enclosures, YOU CAN! Eze-Breeze enclosures are a combination of an aluminum frame and sliding panels fitted with a flexible vinyl. This unique design allows you to open the panels as much as you want to enjoy your room as a screened porch or close them to enjoy the room as a 3-season space. Add a fireplace or heater and you can enjoy your outdoor space all year! An Eze-Breeze enclosure offers many of benefits of glass without the expense or maintenance. Outdoor Living, Indoor Comfort makes it possible for you to quickly, easily and affordably enclose your porch or patio. 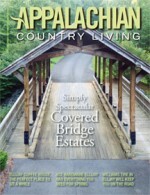 They service homes, vacation properties and cabins from Blairsville to Atlanta. No matter the size or complexity of your porch or patio enclosure project, Outdoor Living, Indoor Comfort can customize an Eze-Breeze sliding system to turn your space into a timeless oasis. Whether your patio demands the elegance of a bold and striking structure, your garden needs a charming centerpiece, or you’re simply looking to define a space to enjoy the ambiance of a cool evening– a pergola may be the answer you’ve been searching for. Pergolas do much more than offer shade and design appeal– they create a magical place to bring families and friends together, and Outdoor Living will design and install the pergola of your dreams. Outdoor Living, Indoor Comfort’s aluminum pergolas are essentially maintenance-free and can provide up to a 60% shade coefficient. With no worries of termites, rotting, twisting, cracking or painting, you can relax and just enjoy. Their pergolas offer the thickest gauge aluminum in the industry, which allows for a deep embossing that captures the true texture and the elegant look of premium wood. Whether you are looking for added style on your deck or some tranquil shade, Outdoor Living, Indoor Comfort can turn any outdoor space into the perfect retreat. One of the hottest new products now offered by Outdoor Living, Indoor Comfort are Cable Railings. These are perfect for north Georgia decks with exceptional views of our mountains and lakes. Outdoor Living, Indoor Comfort can easily bring a sleek and modern look to your deck, balcony, porch, stairs or fence with a premier stainless steel cable railing system that provides you with a safe, strong, low-maintenance guardrail that you can look right through. Cable railings practically disappear, so you can get the most out of your amazing mountain, lake or other scenic view. Outdoor Living, Indoor Comfort also offers maintenance-free aluminum railing systems. When you are ready to sit back and enjoy your outdoor space, Outdoor Living, Indoor Comfort has everything you need to complete your retreat. Their wide selection of outdoor furniture offers stylish options in a variety of materials designed to withstand the elements. Choose from their woven, composite, wrought iron, cast aluminum or aluminum porch and patio collections, all of which will enhance your investment in comfort. You may also choose to add custom waterproof flooring and/or durable and fashionable rugs. Complete your look with lamps and other accessories– many styles are available and on display in their showroom. 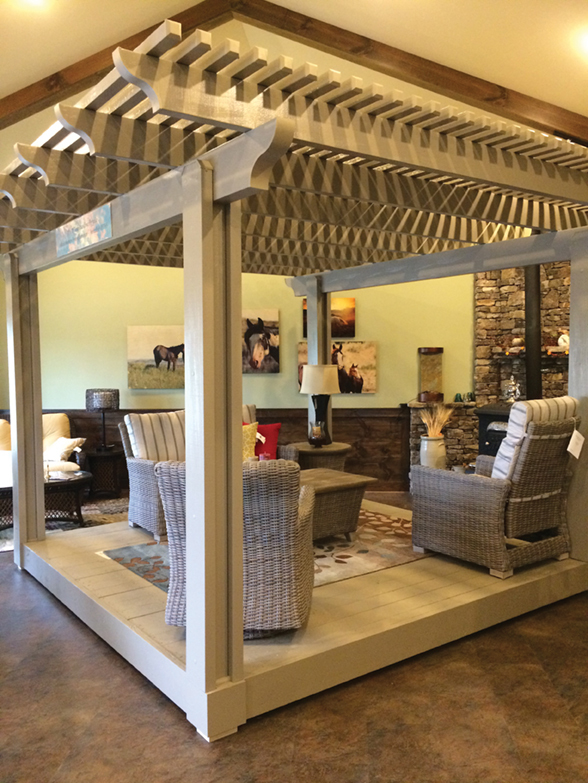 Outdoor Living’s products lend style and comfort to fit your lifestyle. Spring is the perfect time to transform your outdoor space into the summer oasis you’ve always dreamed of. Let Outdoor Living, Indoor Comfort take you there.